Remote is the two-way communication technology behind Reason 3’s control surface support. The idea is, rather than tediously setting up each control surface or keyboard manually to control your software, the software talks to your device and sets it up for you. 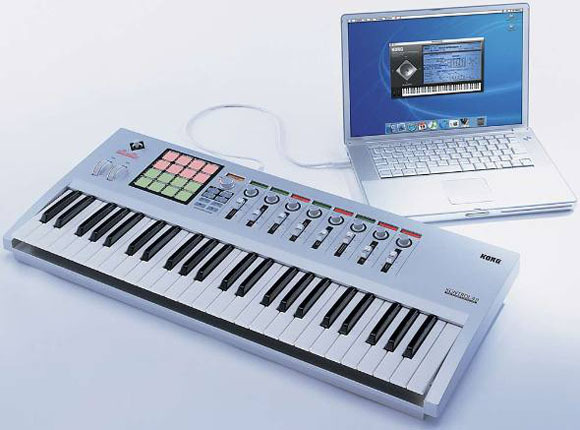 You can even see visual feedback for which knob and button is which; one of the best examples is Korg’s Kontrol49 keyboard (shown). Here’s the news: Propellerhead Software is now shipping a developer SDK so manufacturers can create support for their own hardware. Sure, 40 devices are supported out of the box, but there are a lot more than 40 pieces of hardware out there. There’s an application process, so you may not be able to use Remote for your new eyebrow-controlled camera system, but since I know hardware developers read this blog, I can only say — we’d love to have your device supported. And for users, of course, this means you can now bug your favorite device’s manufacturer and not just the Props.